NEW YORK, NEW YORK – January 15, 2019 – GameChange Solar today announced that a recently completed time study clearly demonstrates that the Genius Tracker™ is the fastest installing single axis solar tracker in the industry utilizing First Solar Series 6™ modules. 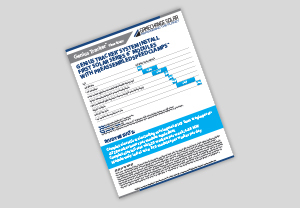 The Genius Tracker™ system’s install speed advantage is primarily derived from the use of the preassembled SpeedClamp™ which has an unprecedented install rate of 310 Series 6 modules per worker day and up to twice as fast as typical competitor systems. The SpeedClamp™ is a proprietary design developed by GameChange Solar for the Genius Tracker™ and it has met with widespread approval among installers and EPCs for its fast and easy installation. The other significant differentiator that helps push the Genius Tracker™ far ahead of other systems for install speed is the preassembled drive system which installs in only 6.5 minutes with two workers, less than one third of the time for typical tracker drive systems. GameChange Solar is a leading manufacturer of fixed tilt and tracker solar racking systems, with over 3.2 GW Sold. GameChange systems combine fast install, bankable quality and unbeatable value through superior engineering, innovative design and high volume manufacturing.